Goodness, it’s hot around these parts! Probably not any hotter than any other June but since we’ve switched from antiperspirant to deodorant I notice the effects of the heat much more. So, Esther and I decided that everyone needed some body powder to help keep us all feeling fresh. So, we made some. I’ve made this many times before and it’s super easy and feels so wonderful. Best of all, all the ingredients are things that are safe so I feel really good about making this for everyone in our family, even the little one. 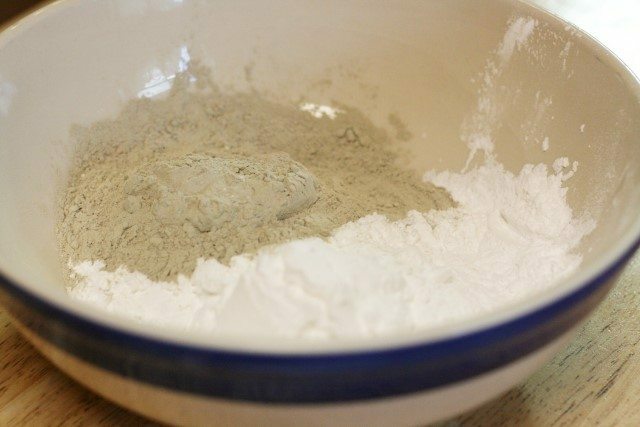 Put equal parts of arrowroot, non-gmo corn starch and bentonite clay in a bowl and mix them together. You can use kaolin clay if you want to, it’s a cosmetic clay that is a little finer than bentonite clay, but it’s also more expensive. 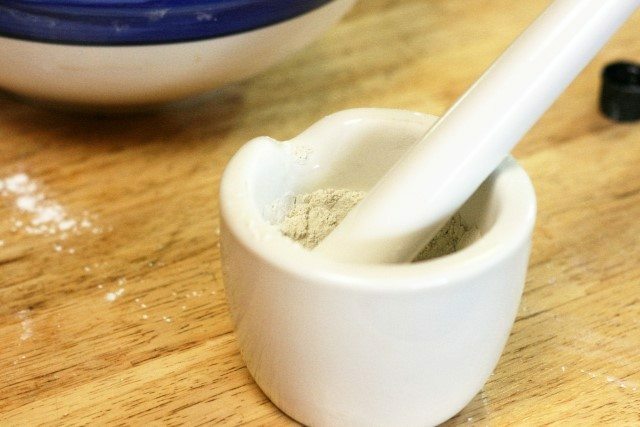 We reserve kaolin clay for face powder and use bentonite clay for body powder. Put about 1/4 cup of the mixture in a small bowl and add the essential oils you want to use. You will use about 20 drops per 1 cup of total body powder that you have. Esther used a combination of grapefruit and clove bud for hers. I used a combination of lavender and sweet orange oil for mine. 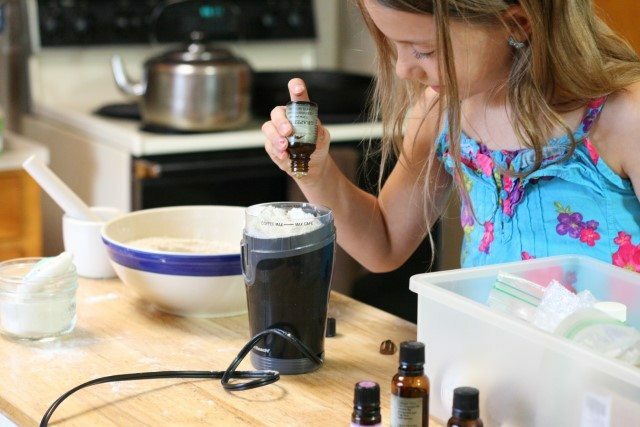 You can use a fork or the back of a spoon to fully mix the essential oil into the powder. A mortar and pestle is helpful for this step. Or use a coffee mill that you reserve for herbal preparations. This is what we like to use. Not only does it disperse the essential oils throughout the powder, it also makes the powder a little finer. Over the years I’ve used a lot of different brands of essential oils. I’m now in the process of just using Rocky Mountain Oils. They have quality oils and make each batches GC/MS test results available, they also practice environmental sustainability in harvesting, packaging, and recycling. These are things that are important to me. 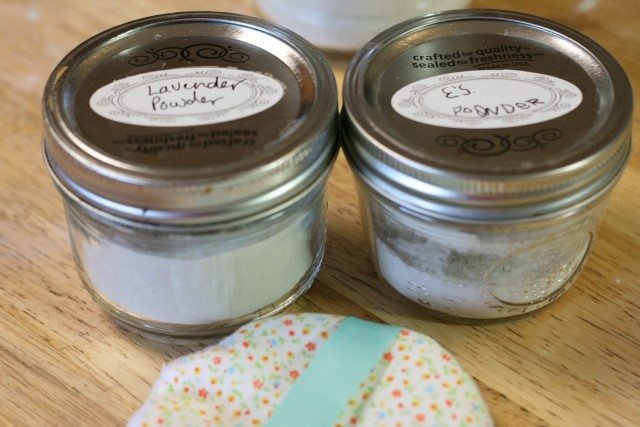 If you’re only making one scent, you can mix the body powder that has the essential oil in it into the body powder that doesn’t. Mix well. 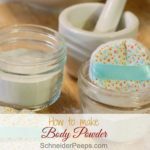 If you’re making more than one scent you can put the scented body powder into a jar and add more of the unscented powder and mix it together. 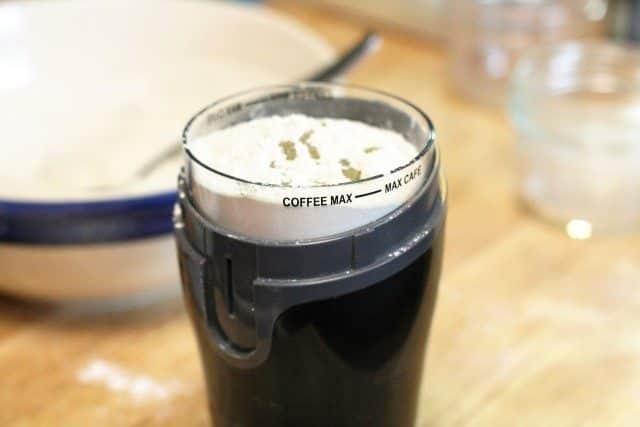 Whip out your coffee mill and make another scent. Here are mine and Esther’s. Esther put her little body powder puff that we made in her jar so her’s isn’t as full. We made the powder puffs and here is the full tutorial. To make homemade powder we use a combination of arrowroot, non­-gmo cornstarch, bentonite clay and/or kaolin clay. 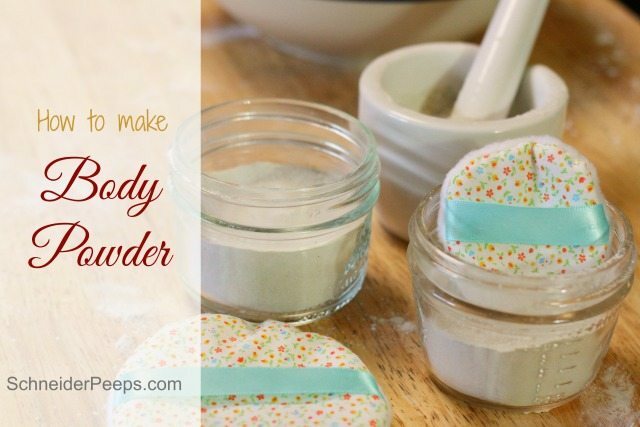 To make the powders, mix everything but the essential oils together first. (a mortar and pestle will help greatly with this part). Then mix the powder with the oil into the plain powder. Put it in a jar with a lid. What are some of your favorite body care products to make? 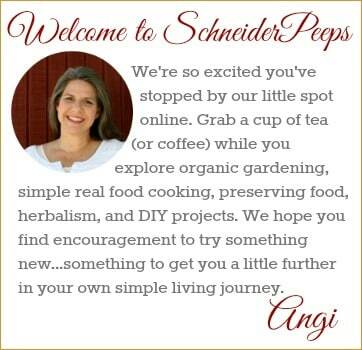 I love this idea, Angi. We aren’t as hot as you are in Texas but it’s nice to smell sweet. 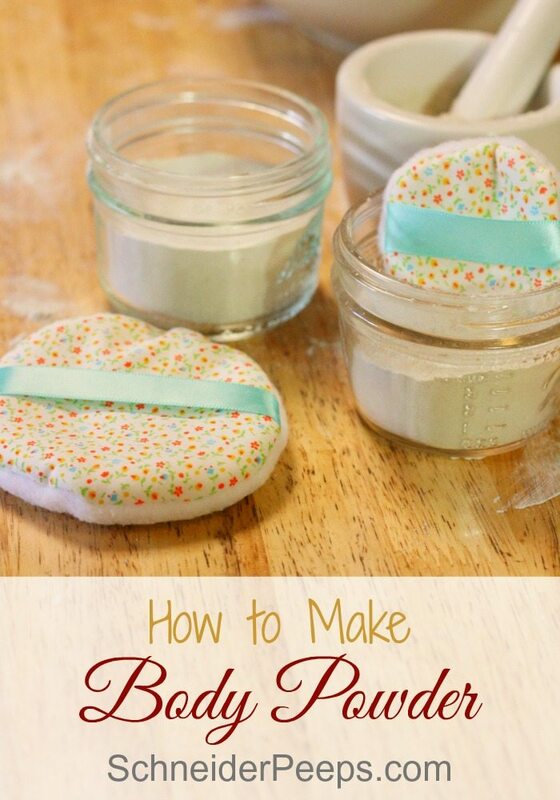 It reminded me of when I was a child, my mom had a pressed powder cake (like powdered makeup foundation) that you used for body powder or maybe it was deodorant. You applied it with a powder puff, like the ones you made. Love those powder puffs!!! Do you have a tutorial? 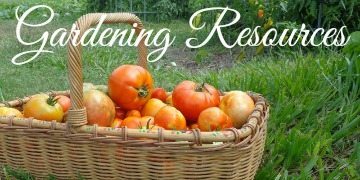 Thanks for reading (and mentioning) my new book, Homegrown Healing, from seed to apothecary. Thank you for writing such a wonderful book. 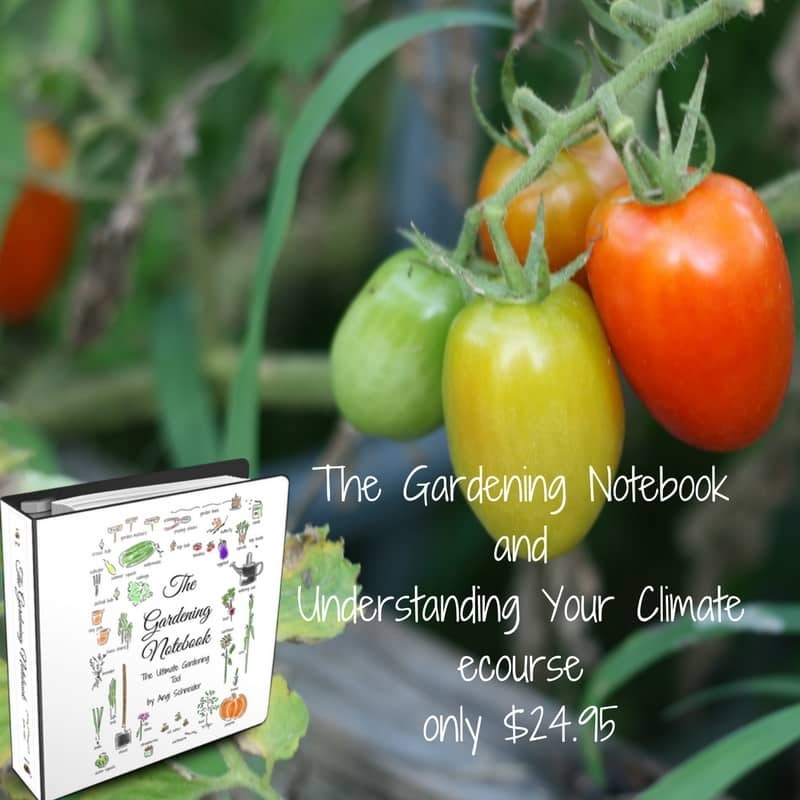 Let me know when the print edition is available, this is one book I want in print! I’ll have a powder puff tutorial up on Monday. It was such a fun project. Glad it brought back fond memories of your mom. I also want to know about the cute powder puff. Do you sell them? Hi Kathie, we made them on a whim. But I took photos and will have a tutorial up on Monday. They were so very easy. How do you know if the cornstarch is gmo? If it doesn’t say on the label that it is non-gmo, I would assume it’s gmo. Sadly, most corn products are. Is there a replacement for corn powder? Hi Melissa, you can just leave it out. I don’t always use it, only if I happen to have some (non-gmo) cornstarch on hand. I know it’s December, but I made your powder recipe back in July. Loved it ! So I thought I’d make up some for Christmas presents. Imagine my horror when I could not find the recipe.. I couldn’t remember where I got it from. Went through everything and then Pinterest. I prayed “Lord help me find this recipe” Went through a few pages, and then, Oooooh ! I found you again! Thank you for a wonderful powder. Christmas presents, here we come !!!? Kathy, I’m so glad you loved the powder and that you found the recipe again. I hope your family and friends enjoy it!